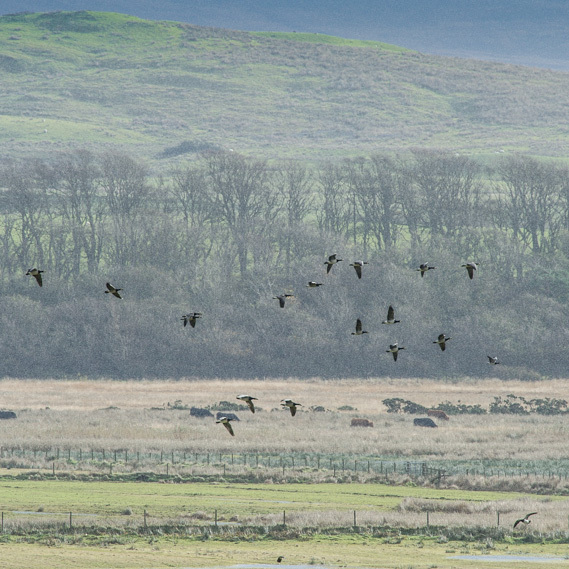 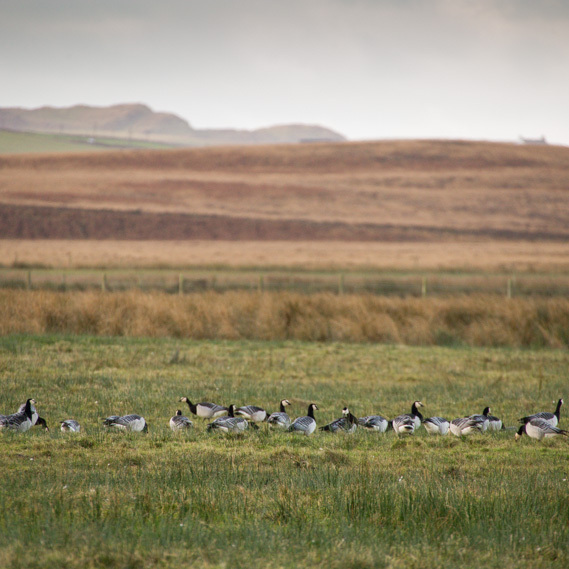 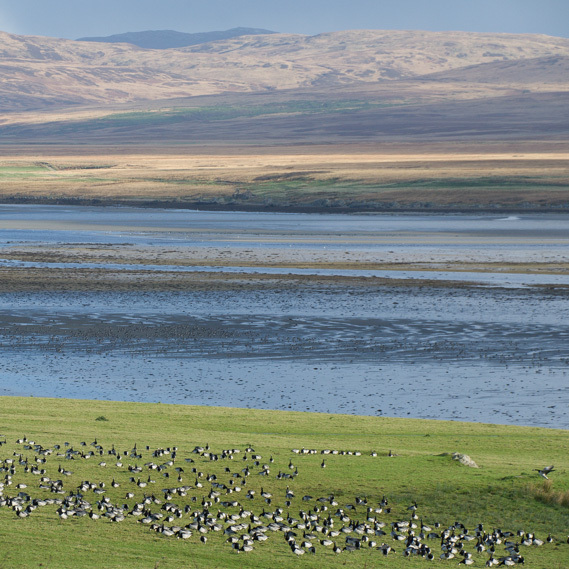 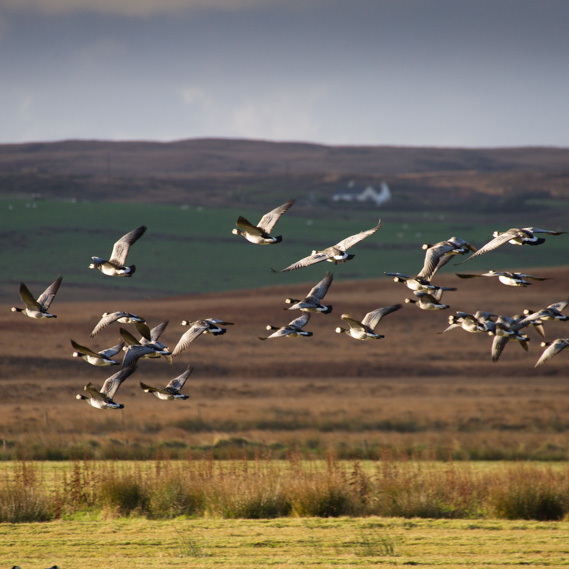 Continuing on the theme of context within the experience of seeing the geese on Islay are this set. 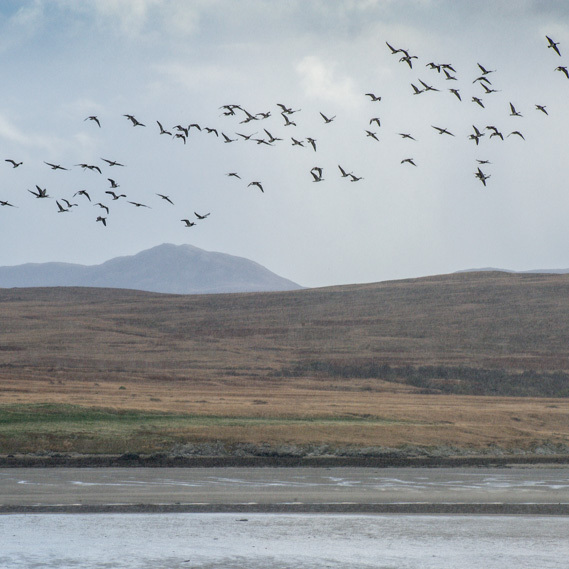 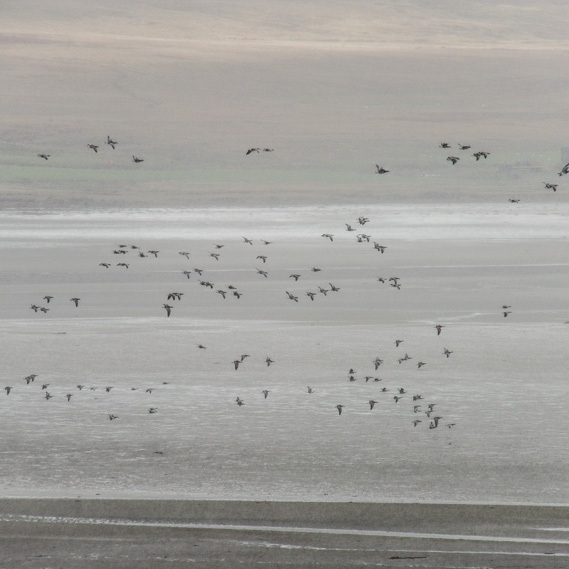 As dawn broke on the first morning a few ‘barnies’ passed over us on the shores of Loch Indal heading to their feeding grounds. 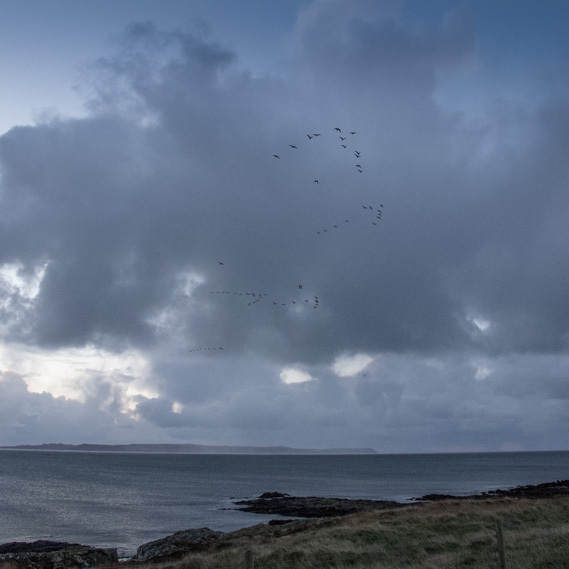 The day was set to be one of sunshine and heavy showers but with fine visibility.